Club Penguin Cheats by Mimo777 Club Penguin Cheats by Mimo777: Club Penguin EPF Sneak Peek! We have a defense plan - but we need to strengthen our numbers! Agents are advised to be on the look out for new recruits. Send the EPF postcard to any penguins you think are up to the challenge. Looks familiar, doesn't it? If not, check out all my ultra exclusive sneak peek of the upcoming villains! Cool! I can hardly wait for this new game, System Defender! It is suppose to be out sometime today! What do you think the game will be like? Hey Mimo could we meet on CP? I'm so exited about this! Try to post when it happens fast! Huh I am waiting for ages and now?Its 10 january and i still cant get the system defender .::DuH::. Thanks! Your the best penguin in the history of penguins! Best penguin ever if you show up! MIMO IS THE BEST! HE BEATS ALL THE REST! HE WOULD FINISH FIRST IN A CP TEST! omg its coming out today?! YES!!!! im going on cp RIGHT NOW! I was on Club penguin this morning and I was like ''where is the system defence? ''So club penguin better hurry or the islands in danger. mimo maybe they arnt the bad guys and there the system defenders we just gotta wait till it comes out. Yeah! I thought that too! It should be WAY more difficult to be an EPF agent. The update isn't out yet. Maybe Club Penguin is having problems with it. You will have the chance to meet Mimo at the stampede party. Well, it is supposed to, but so far it has not. Maybe it will come out tomorrow! But until then, waddle on! Yes, it would be very exciting to meet Mimo! But, I'm sure he is very busy and there are many penguins asking him to meet him. I don't think he has the time to meet you. But maybe one day you might run into Mimo on Club Penguin! Hey, I reconize that one! I hope it's not that strong. That could very well be! And if you look at the sneak peek pictures Mimo has, use can see the four robots from the first DS game, a shadow (most likely the Director), and some NEW robots! You might be right but as the robot in the picture is angry its most likely a evil robot. But you might be right! I dont think its a puffle but maybe it is..... I guess we must wait for it to come out! I cant wait! I'm sorry anonymous but C.P didn't lie.They are doing lots of stuff for us this year and its very hard for them to work on the system defender. Omg. I just realised! On the mission Spy and Seek, isn't it Herbert was doing SOMETHING about the puffles?! 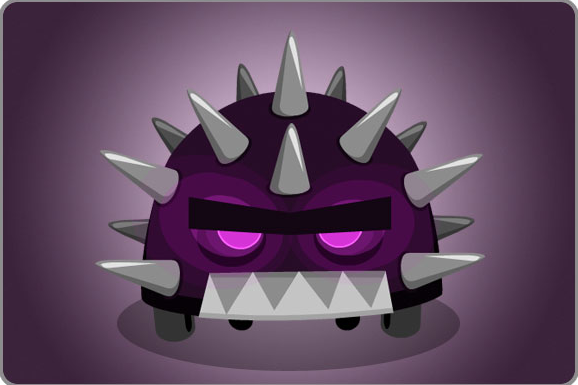 Then maybe the puffle plan is create the puffle-bot?! Im getting closer to figuring out!